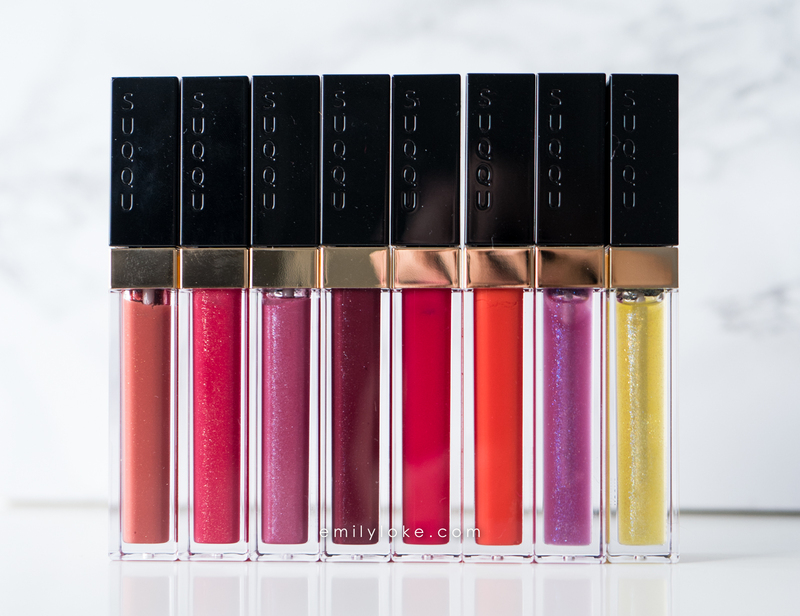 This is the second of two review posts I’ve put together about SUQQU’s Spring Summer 2018 collection. 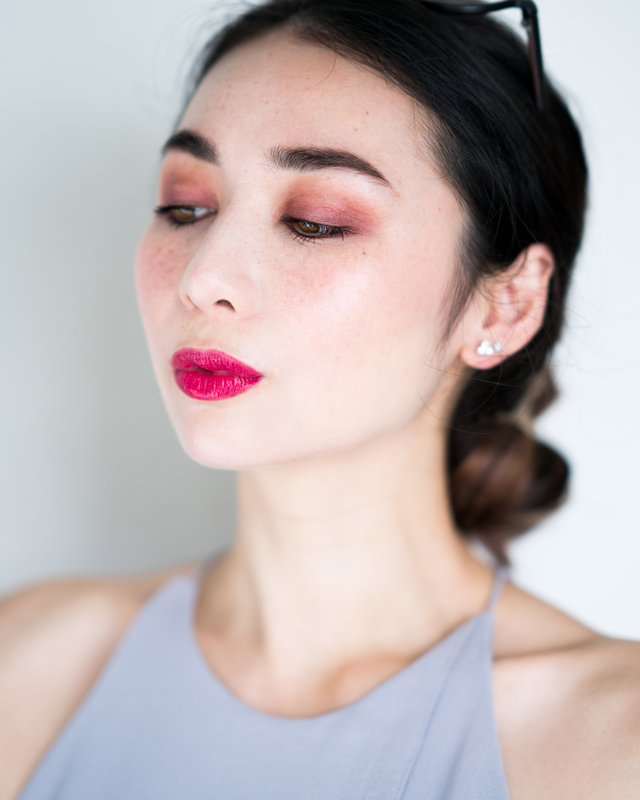 The very lengthy first one, featuring cheek and lip products, is here. 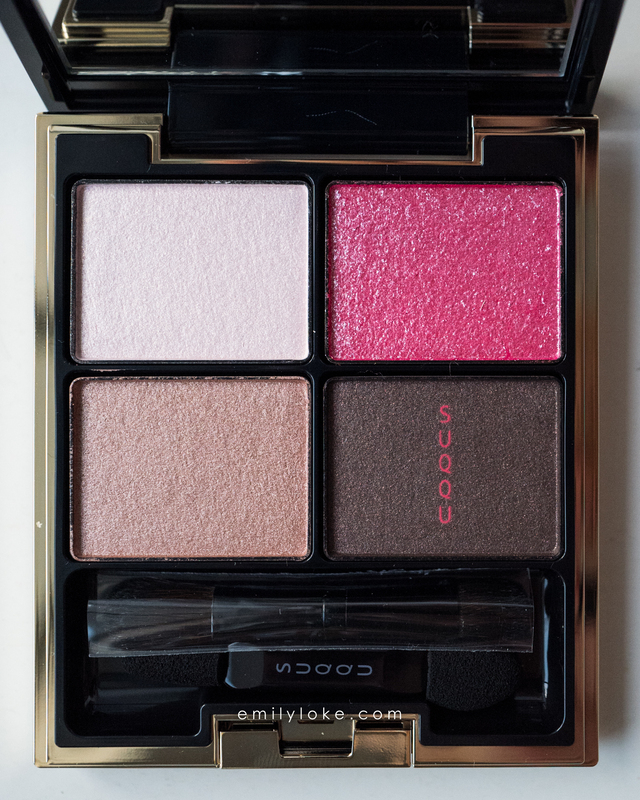 This one will be shorter because SUQQU eyeshadow palettes are (in my opinion) unique to the point of being pointless to attempt to dupe. 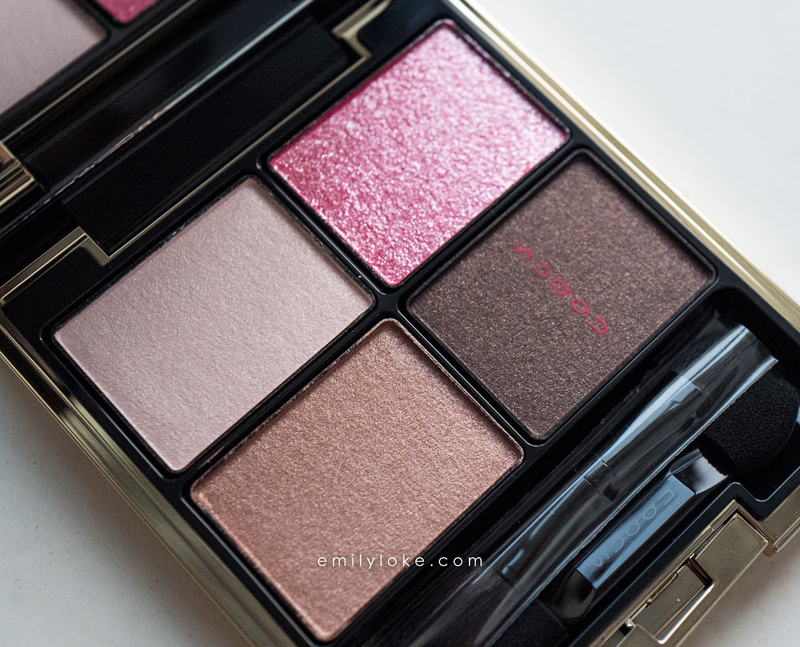 I mean, if there was a standout shade in question then maybe, but the true appeal of SUQQU palettes have always been in their colour combinations more so than in their individual colours. The whole, as they say, being greater than the sum of its parts. 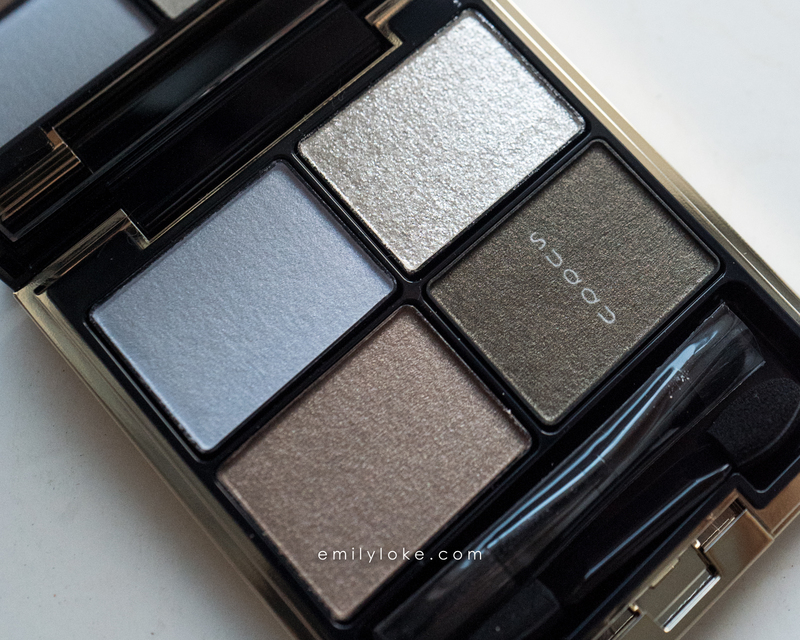 The two palettes in this collection certainly fall into that category, though Designing Colour Eyes 09 Ryougetsu takes the cake for being most reminiscent of the original SUQQU Blend Colour Eyeshadow palettes. To me, it’s closer than any of the Designing Colour Eyes palettes have come before. I was ever so slightly skeptical of this quad at first. Icy pastel blue, silver, gold taupe and green-grey aren’t my go-to colours, and they appeared to be a bit plain on their own. But like the best SUQQU quads, they were downright magical when layered! You can see from the 2 last swatches that they almost had a duochrome effect when mixed together. More of this please, SUQQU. I so miss these unusual and slightly clashing colour combos that layer to create beautiful hidden shades. 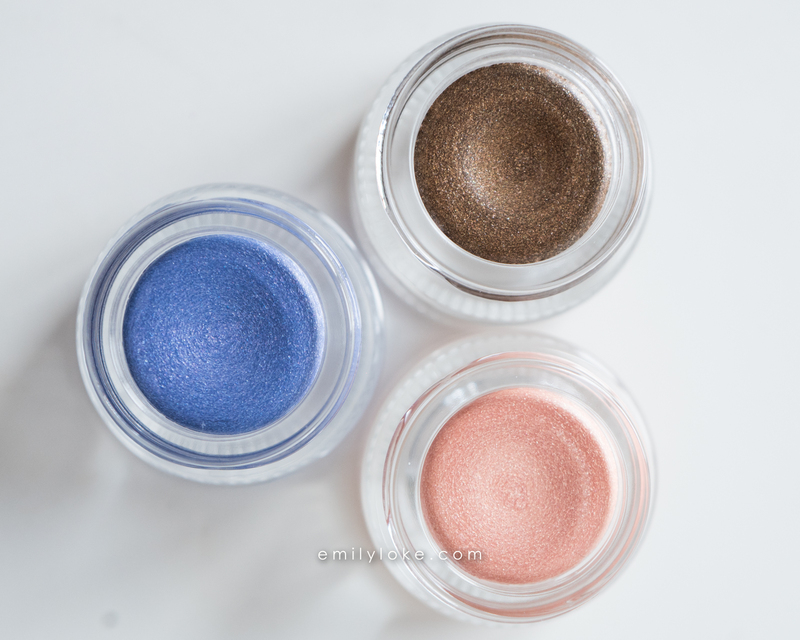 That glitter shadow is unlike anything SUQQU has released before. It’s straight-up glitter that’s rough to the touch, but somehow swatched smoothly without fallout, and went on THIS evenly without primer. I’m not sure what kind of sorcery this is, but I was blown away by how well this (and the silver shade from 09 Ryougetsu) adhered to my skin. It reminded me of a grown-up vesion of Urban Decay’s Moondust shadows. The “hidden colours” of this palette are less surprising than 09’s, but no less pretty. 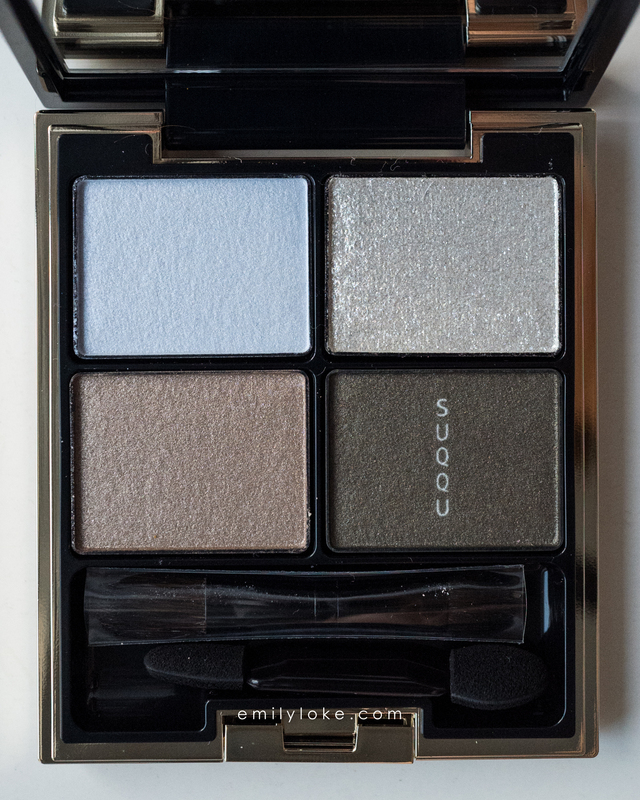 I love that this palette can so easily swing from neutral to fun to rock-star-dramatic. It’s exactly what I’d take on my travels because of its versatility – I can see myself wearing A, C and D regularly and B whenever I get bored and start to crave drama or bling. Next on the docket are SUQQU products I’ve actually never tried before: SUQQU Gel Eyeliner Pencils. Just to clarify, they’ve been used on me by makeup artists during SUQQU counter makeovers, but I’ve never actually thought to pick any up before. That was obviously before I swatched them on my arm and discovered they wear like iron…now I want them in every colour! 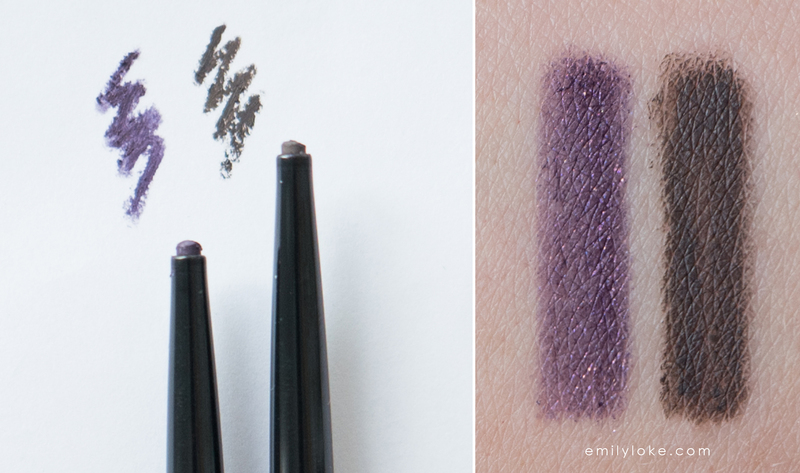 The two here are 05/Grey (which pairs perfectly with Designing Colour Eyes 09 Ryougetsu) and 101/Purple, a limited edition shade with ultra-fine sparkles. The eyeliners conveniently come with sponge tips on their other ends, so you can smudge them out for a softer, more diffused look. 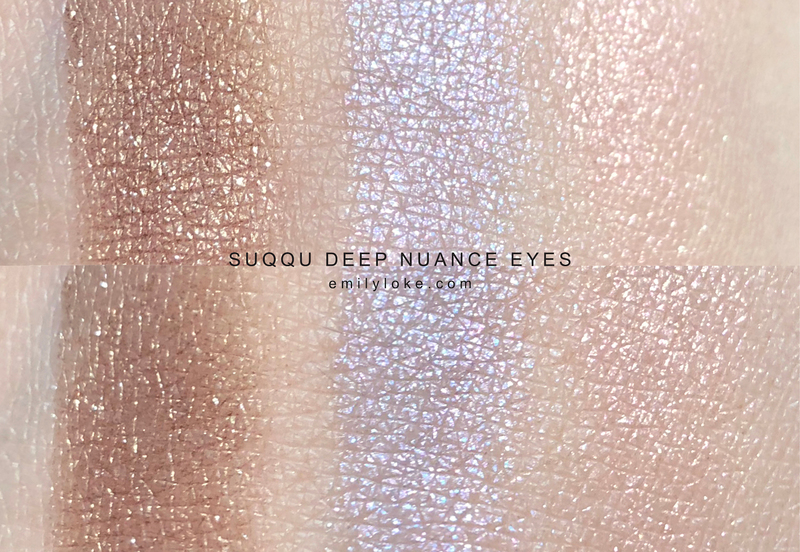 Last but not least is an entire limited edition line: SUQQU Deep Nuance Eyes, a gel-like cream eyeshadow formula that debuted in 2016. I talked about my previous experiences with it here and here. Clock-wise from the top, the colours are 103 Akakage, 102 Maizakura and 104 Sukashiaoi. Let me just say that I’m incredibly biased towards that last colour because it was a gift from a friend who chose it for its similarity to the lavender shade in Awafujisukashi…which she remembered as being my most-favourite-ever SUQQU quad. How incredibly thoughtful is that? I am so humbled. Thank you Lisa! 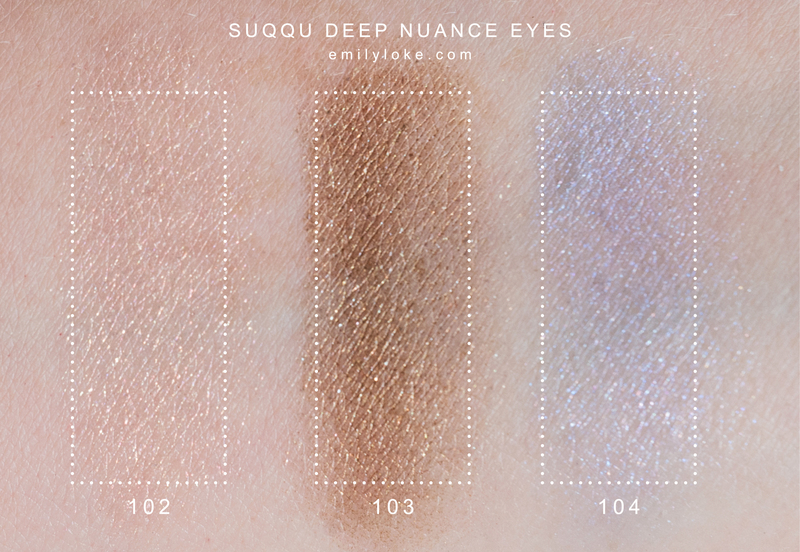 Sheer and sparkly, these SUQQU Deep Nuance Eyes tie in perfectly with the season’s Kindami (gilt-work) theme. 102 Maizakura is a pale, warm pink in the pot but actually has a completely clear base with fine pink and gold shimmer particles suspended in it. 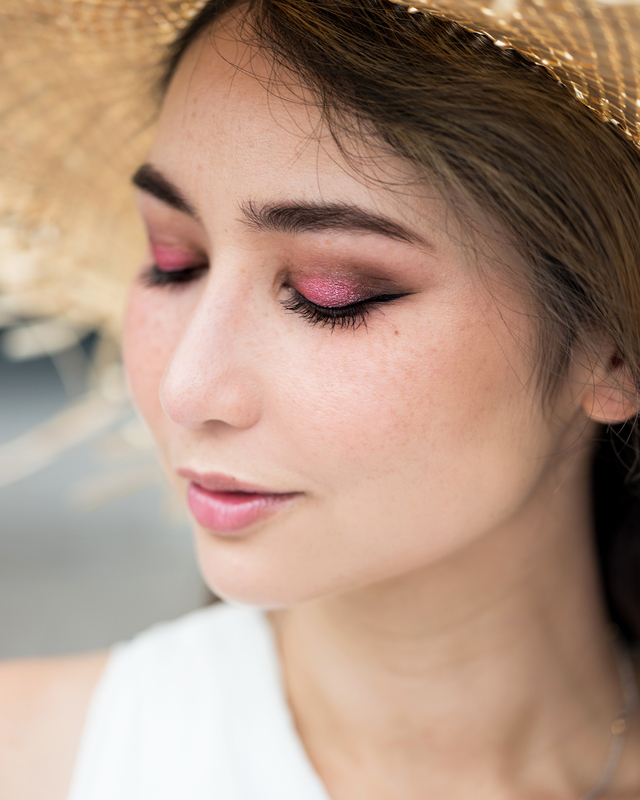 103 Akakage has a metallic bronze base with larger silver and gold reflective particles, that give the dramatic effect of foiled eyeshadow without the effort. 104 Sukashiaoi has a sheer periwinkle-blue base with fine blue and pink shimmer particles that combine to create a lavender flash when it catches the light. Their effect in real life is beautiful, but super tricky to capture accurately in photos. I took a couple of shots with my phone on different angles to try to show off the sparkles – still not perfect, but hopefully this and the descriptions give you a better idea of what to expect if you’re ordering online. And that concludes my review of SUQQU’s 2018 Spring-Summer collection, but I’ll be updating the blog soon with FOTDs.